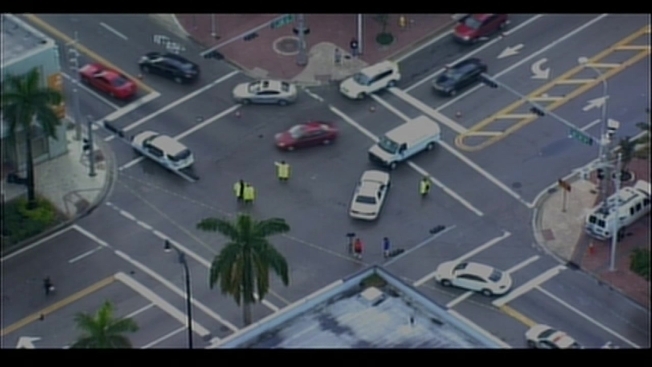 A pedestrian was rushed to the hospital after they were struck by a car in downtown Miami Wednesday morning. The incident happened around 7:30 a.m. in the area of Biscayne Boulevard and 14th Street. Miami Fire Rescue officials said the unidentified person was rushed to Ryder Trauma Center in critical condition. Miami Police said they are investigating the incident. They said the driver stayed at the scene and is being interviewed by investigators.